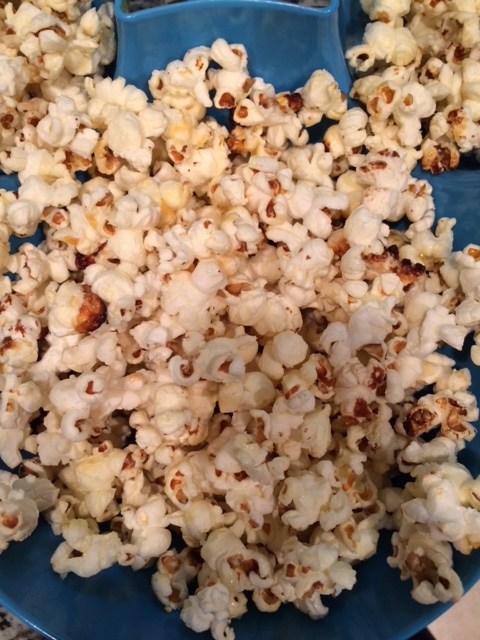 I have always been a huge fan of Kettle Corn and it is always the best when you buy it at a fair or farmer’s market. The microwaved kind is pretty good, but nothing beats the real deal. Today I tried making my own. Recipe below! In a large pot with a tight fitting lid, heat the oil over medium-high heat. Add the popcorn. When the oil sizzles, sprinkle the sugar over the kernels. Cover and shake the pot until the popping slows down. Remove from heat and toss with the salt. Some bites are good and some taste like the oil. It probably could use a bit more sugar and salt. It is ok though, I think I might stick to the microwave kind. It is an easy recipe though and only take a few minutes. Some of my pieces were a little burnt, but it looks like the real kind. Just missing that overall flavor in every bite.